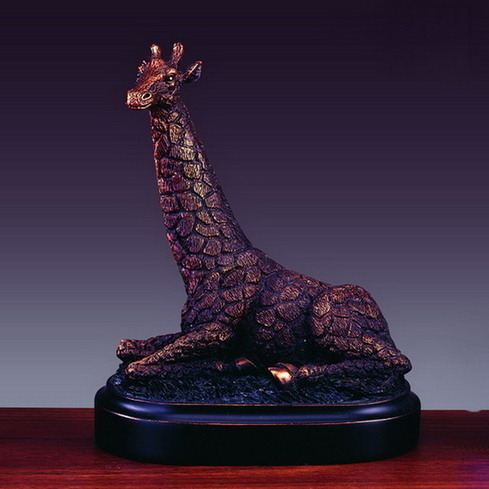 This Resting Giraffe Sculpture is individually bronze plated with the finest quality and detail. The sculpture is meticulously crafted by hand ensuring this piece is of exceptionally fine detail as well as lasting durability. Designed to add beauty to your home or office, this piece will bring a lifetime of enjoyment. 4.5 inches Wide x 5.5 inches Tall.